SFGate, a San Francisco-area local news outlet, recently published an article claiming that, “Gov. Jerry Brown vetoed a bill Thursday that would have ensured undocumented immigrants would not face civil arrest when going to court on another matter.” But that’s not remotely accurate. 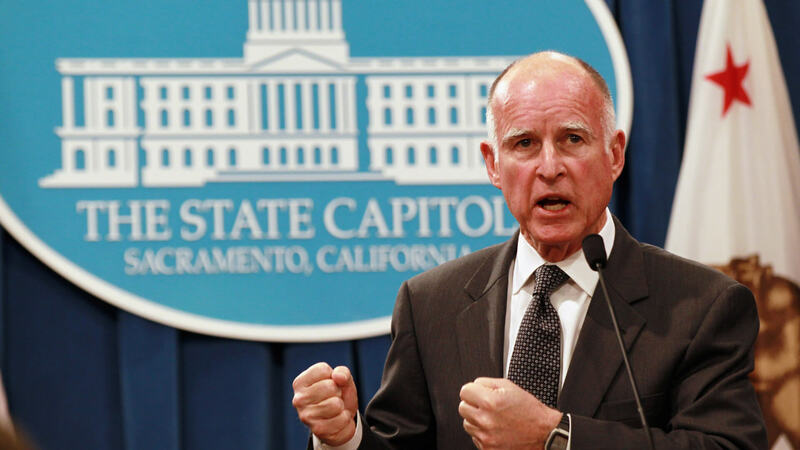 Governor Brown did, in fact, veto the ill-considered SB349. 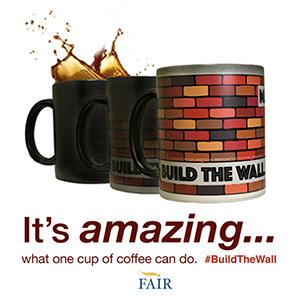 However, that bill would never have prohibited the federal government from arresting illegal aliens in the Golden State’s courthouses. The United States is a federal union. That means that it is composed of fifty sovereign states that have agreed to function together as a single nation. The United States Constitution governs the relations between the federal government and the states. Under the 10th Amendment to the Constitution certain functions are specifically committed to the federal government, and the states have no authority to pass legislation regulating these areas. Immigration is one of these functions. Defense, diplomacy and the minting of currency are other examples. Article VI, Paragraph 2 of the Constitution is known as the “Supremacy Clause.” It clearly establishes that the federal constitution and federal laws trump state laws. More importantly, the Supremacy Clause specifically prohibits states from impeding the federal performance of functions that are exclusively entrusted to the federal government by the Constitution. The regulation of immigration is an entirely federal area of responsibility. Pursuant to the 10th Amendment, California lacks the authority to dictate to the federal government where and how it can arrest immigration violators. And, even if California had any power to pass legislation on this issue, it wouldn’t matter. Under Article VI, Paragraph 2 of the United States Constitution, the Immigration and Nationality Act, the governing federal statute, would trump any California statutes. So, did Governor Brown veto SB349 because it’s unconstitutional and, therefore, null and void? No, he was worried that the bill might have unintended consequences. SB349 would have prohibited the civil arrest of anyone in a California courthouse while attending a court proceeding or having legal business in the courthouse. That’s a problem, because every day, in every court in the United States, thousands of people are subject to civil arrest for violating all manner of laws and court orders. 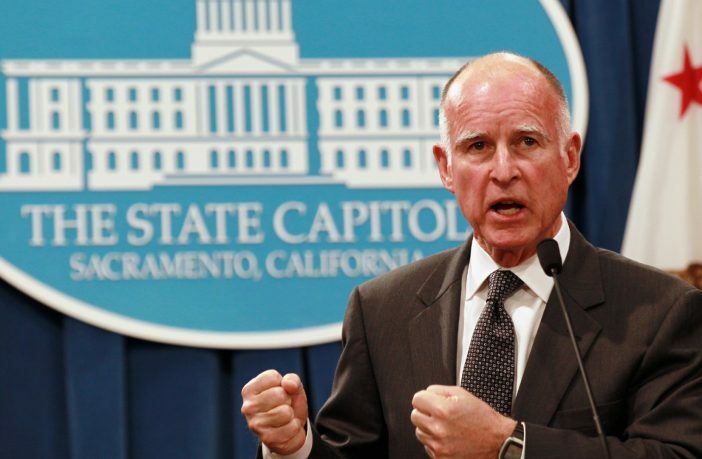 In essence, had SB349 been signed into law by Governor Brown, the Golden State would have shot itself in the foot and hobbled both its court system and many of its own law enforcement agencies. Why not just draft legislation specifically referencing immigration arrests? Because any mention of immigration would likely have meant that California was impermissibly intruding into federal jurisdiction. So, the bill’s sponsors tried to play it off as legislation granting judges “the power to preserve and enforce order in judicial proceedings” and, in the process, nearly eliminated their state’s ability to effectuate civil arrests of everyone from debt defaulters to fish-and-game violators. What’s most disturbing, however, about SB349 isn’t the virtue-signaling incompetence that led to its veto. Rather, it’s the fact that, if the bill hadn’t inconvenienced California courts, and California law enforcement, Governor Brown would have signed it into law. And he would have done so knowing full well that – like sanctuary state legislation – the bill was both unconstitutional and an egregious violation of the principles of federalism on which the United States was built. Because the people currently running California care more about “immigrant access to courts” than they do about the safety of U.S. citizens. Moonbeam brown is a traitor to the US and to CA LEGAL citzens. 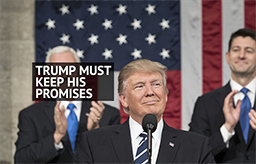 This article quotes all the constitution components restricting any state from suborning the federal government’s constitutional mandate to govern immigration in all its aspects. 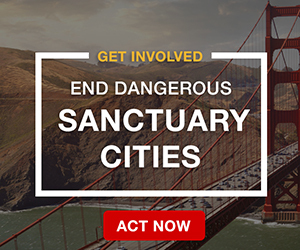 SO, why are we allowing California and all the other cities/counties/states to declare sanctuary and protect ILLEGAL ALIENS from federal action???? Whenever the fiscal pit that California is in is mentioned, some defender of Brown will claim “they have a surplus”. But it’s the equivalent of saying you have 5 dollars in your pocket while you have 40,000 in credit card debt. Unlike the federal government, the states cannot print their own money while spending like drunken sailors. Any surplus is the small amount left over from the annual budget, with the annual tax increases imposed to make up for the shortfalls they always have. Like many sanctuary states and cities, they have taxed everything they can and it’s still never enough. California has hundreds of billions in unfunded pension liabilities and huge infrastructure backlogs. Their “high speed” train from LA to San Francisco is already way over budget and is not even going to be high speed in many areas. Naturally all the critics who predicted this would happen are not acknowledged as being right. You can be sure a lot of that money would go right into the pockets of the same crooks who had allowed the water and electrical systems to crumble over the years because of lack of upkeep. If not for the US and our massive aid and welfare assistance, Puerto Rico would be just another Latin American disaster. Truth hurts. FEMA has rules and limits on payments….rebuilding homes and infrastructure is not in their budget. Its not Trump’s fault. The wild fires in California were either caused by lightening or man….since lightening hasn’t increased, increases in wild fires are caused by OVERPOPULATION. I see Disneyland closing in 5-10 years because Summer tourism in that horrifying toxic smoke is dangerous and almost unbreathable. BTW, I learned something about Numbersusa [hopefully not FAIR too]….they have a Sierra Club type charter not to blame OVERPOPULATION for anything….Numbersusa will likely not print a blog like this. I hope you are wrong about Numbers USA because I have trusted them to provide only facts. I intend to query them about this because it is important. Overpopulation and congestion is a factual byproduct of our current insane actions of allowing millions of foreign strangers to move inyo our vountry annually. Numbersusa overpopulation. It is referred to as “Immigration, World Poverty and Gumballs” by Roy Beck. Thank you for this excellent reclarification of the powers of federal law. I live in Los Angeles and it is so scary and depressing to know that you are not protected as a citizen here due to the manipualtion and machinations of our Gov. Brown and his buddies Becerra, Rendon, Lara, DeLeon, Cedillo, Holden etc. 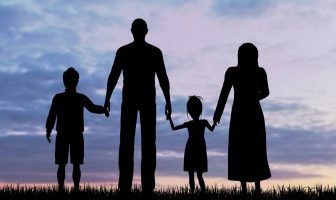 The illegal alien in our state not only has total access to all social services, but is even encouraged to steal social security numbers to apply for such services and jobs. Our universities have La Raza and Mecha Clubs and grant illegal aliens in- state tuition. Illegal aliens have numerous anchor babies which provide a constant benefits/ cash flow from social services. Our illegal alien crime rate is astounding and their incarceration is all supported by our citizen taxpayers. Hit and run accidents by illegals is the highest ever.People are fleeing California. It already looks and feels like Mexifornia and will soon actually be if we do not truly support our President and his legal, merit-based immigration agenda. The more illegal aliens the California left politicians allow to stay,support and protect, the more Democrat votes they get. Simple . The rule of law regarding illegal aliens does not exist here in California.